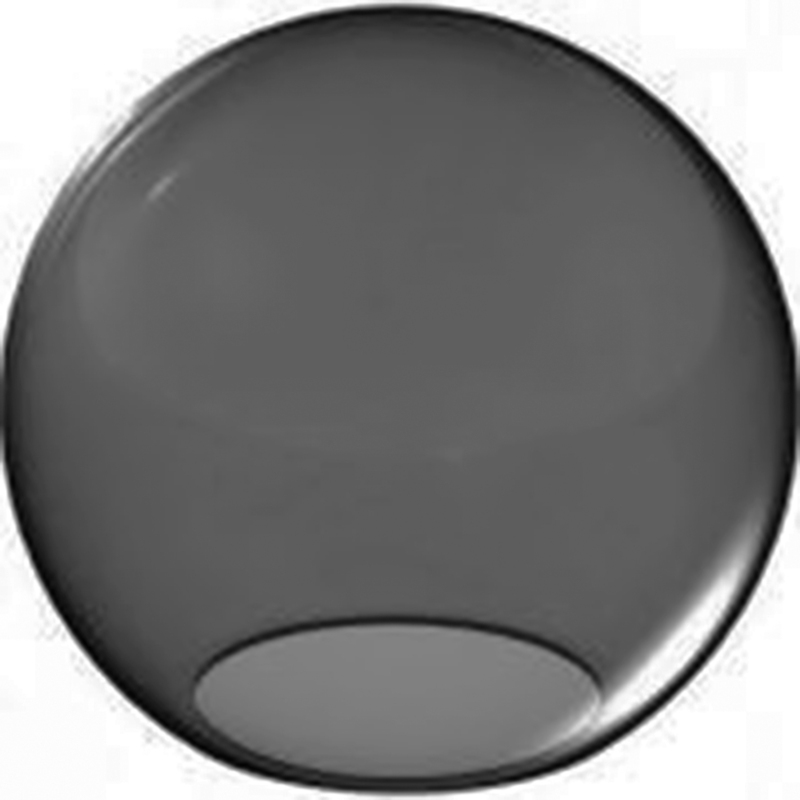 This one-piece smoke gray acrylic injection blow molded globe is and 18 inches in diameter with a minimum neckless opening of 5.25 inches and a maximum opening of 13 inches, for a clean professional look. Made in the USA, this globe is water and shatter resistant with UV inhibitors to help prevent yellowing over time, which ensures this globes long life and great value. Shop through our many great globes and products today. This is a custom cut and cannot be returned. To request a custom opening, please enter the opening desired in the comments sections at the bottom of the checkout page, or call 800-665-3594. If no custom opening is indicated, the globe will be sent with the minimum opening indicated in the description.